Intel's Optane technology can turn your hard drive into something closer to an SSD. As Intel migrates its Optane memory technology into the notebook space, a new “Core i7+” brand will answer the question: how will consumers know it’s there? For years, notebook and desktop buyers alike have instinctively been able to buy Intel’s “good, better, best” hierarchy of Core i3, Core i5, and Core i7 chips. Last year, Intel added a premium brand, Core i9. 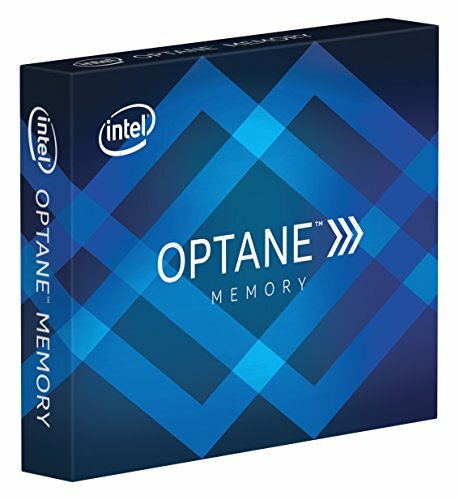 With Optane, Intel has complicated its branding a bit more. 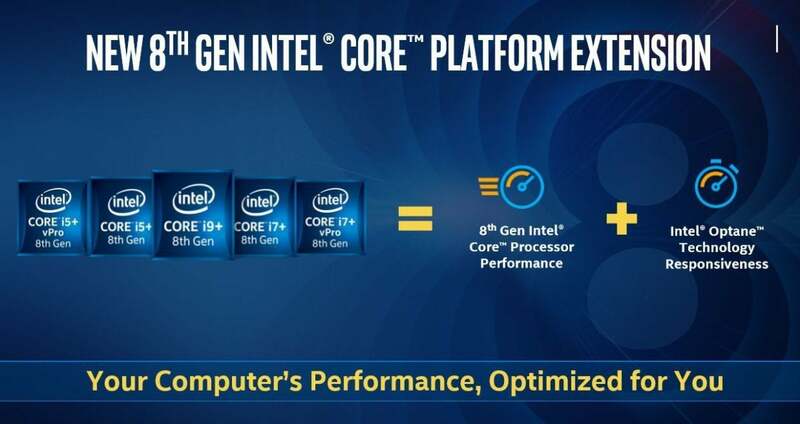 New “Core i5+,” “Corei7+” and “Core i9+” stickers will adorn notebooks, and possibly desktops, that ship with Optane accelerator technology inside. The company is positioning Optane as an accelerator for data drives, the high-capacity hard drives where PC gamers and enthusiasts store games and media files. Intel thinks you should run your operating system from a primary SSD, but use a slower, traditional secondary hard drive to house the terabytes of data a collection of modern games require. By pairing the secondary drive with an Optane module, Intel claims that gamers can load levels up to 4.7 times faster than with a standalone hard drive, approaching SSD-like performance without sacrificing capacity. There are caveats to that though. PCWorld’s Optane memory review explains the pros and cons of the technology. On Tuesday, Intel also announced several new desktop CPUs with four new chipsets, and many mobile CPUs, including a fearsome six-core mobile Core i9. All of them include Optane support, save for the Intel H310 chipset. What this means for you: If you’re already an enthusiast, you’ll probably weather these new brands handily. It will be more interesting to see how retailers communicate what the “plus” brands represent, and what Optane is. Branding issues aside, data drive acceleration is a smart move for PC gamers—and it would be for consoles, too, if AMD hadn’t locked them up with its own architectures. Intel research shows that over fifty percent of users have hard drives only, meaning Optane’s opportunity is significant. “I know we’re all a little shocked by that... we haven’t had [hard drives] for a long time,” said Brandt Guttridge, general manager of the desktop product group at Intel. Intel claims that notebooks will generally see increased performance from using Optane. The detailed data that Intel based its conclusions upon, however, wasn’t immediately available. Notebook users should generally see even better performance than desktop users, Guttridge said, with the biggest gains felt in PC game load times: specifically, up to a 4.7X improvement in notebooks, he said, versus a 3.9X performance increase on the desktop side. But even users who interact with media should see an improvement of up to 1.7 times faster than a traditional hard drive, he added. In a short interview, Guttridge made clear that the new “plus” brands would apply to systems that actually included Optane, rather than be designed to allow PC makers, system builders or consumers to add the memory technology in later. Though we didn’t see any demonstrations of systems launching games with or without Optane, this certainly sounds like technology that PC builders and enthusiasts may want to tap into if they aren’t fully invested into SSDs. We’ll have to see how everything shakes out (and how it’s priced) when Core+ laptops start hitting the market. Intel hasn’t released a formal timetable, but it looks prepared for Optane to take over sooner, rather than later.